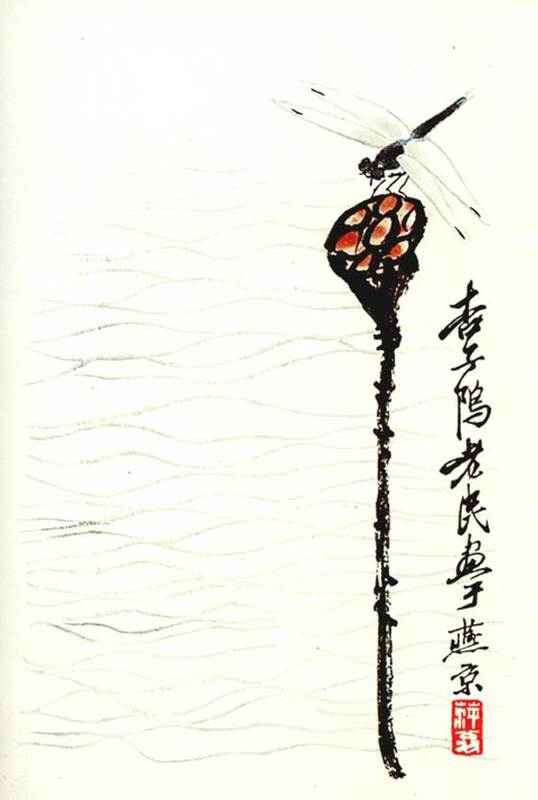 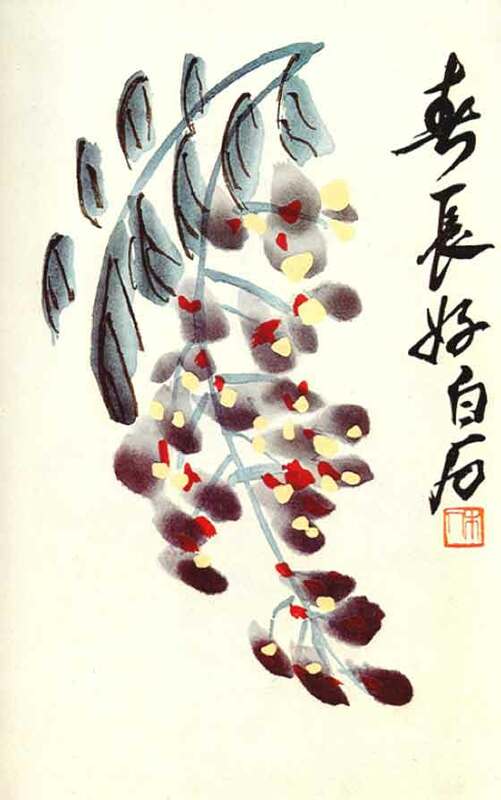 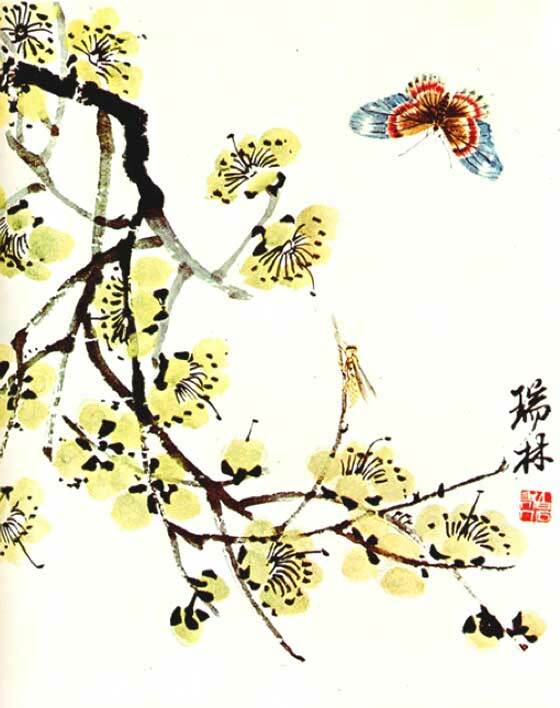 Chinese, born in 1864, Qi Baishi is deceased in 1957 almost living one century. 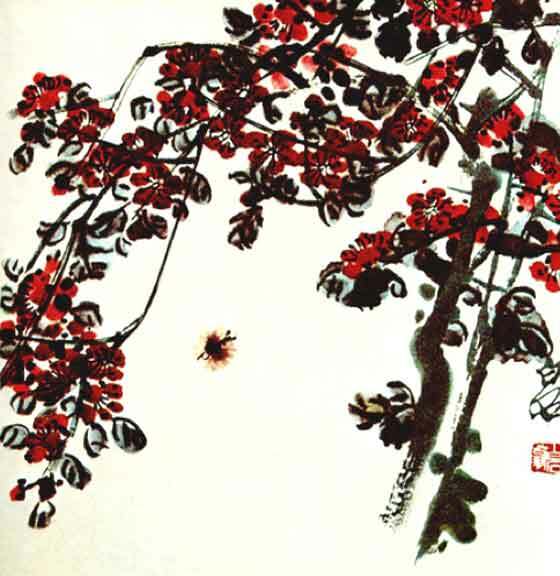 Its splendid pictorial art has given us numerous masterpieces, among which floral, naturalistic subjects and landscapes. 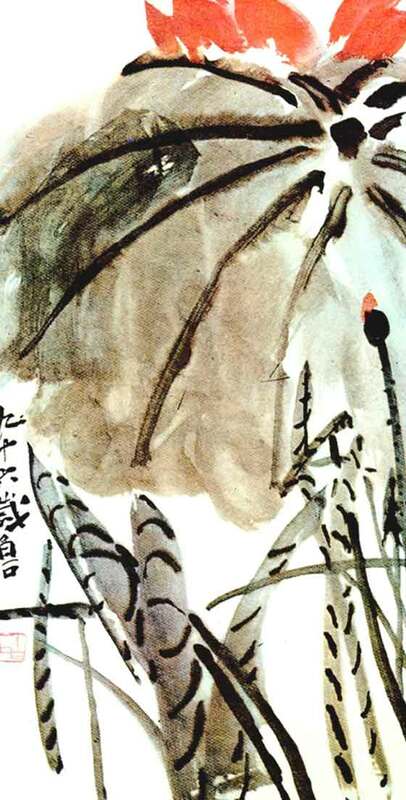 Baishi explored the ink possibilities enriching it with chromatic variations, reaching a particular pictorial style. 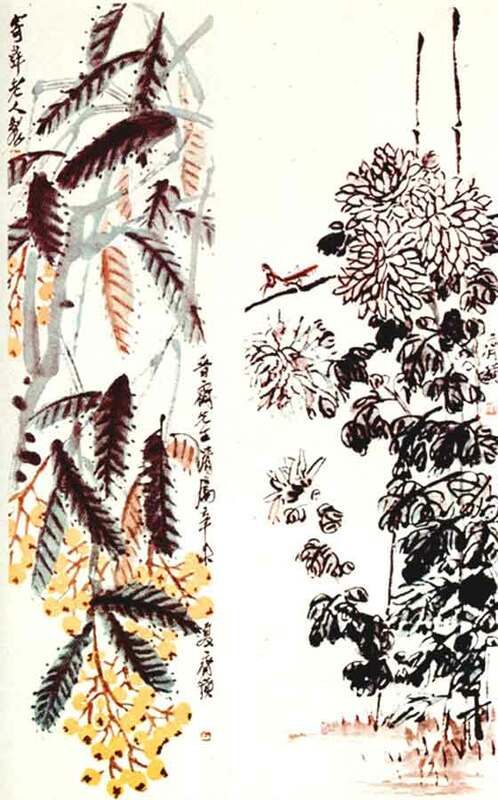 A skilled, essential and precise use of the ink, a joy for the eyes to follow the signs of his brushstrokes!